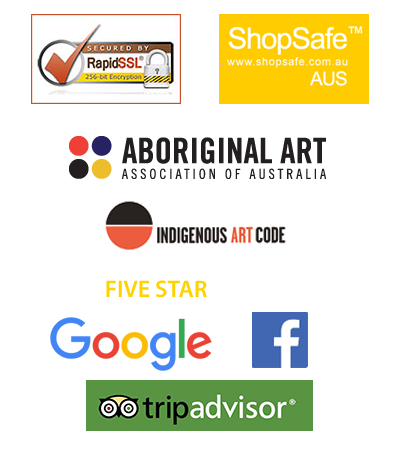 In response to our recent infographic of the ten most expensive Aboriginal Artworks ever sold at auction, we had the following question left in the comments section of the post about the infographic on our Facebook page. I thought it was worthwhile sharing our answer here in a more permanently accessible location. Hi Sonja, That’s a great question. There are a few things you should know before buying for investment and a few things you should do. The biggest thing is you need to know that 80% of art will likely never go up in value or drop in value. It will remain roughly the same. That is just the way it is. That’s why we always tell people to buy what they love coz that way you can’t loose. You should always buy the best piece of art from the best artist you can afford when it comes to investment art. A great piece from a less known artist always beats an average piece from a great artist. You need to be prepared to hold the art for some time to extract value from the market. You need to look at how much art is out there by the particular artists because even great artists will struggle to bring in big prices if galleries have too much of their art for sale. Look for pieces that are unique or different in some way that you think might make them a stand out from the crowd piece. Follow the auctions and look at what is being auctioned and what the trend is for that artist. It’s difficult in reality to find a piece that will go up dramatically in value in the future for less than $5,000. You may get lucky but it is a bit like a racehorse. You hear stories of people buying a horse for $600 and it ends up winning $3 million but that is very rare. The best bet is to pay more and buy a quality horse. There’s plenty more to it but that gives you a little overview on it.